Almonds, scientifically known as Prunus dulcis, have their origin in middle and south Asian region. Almonds are used for skin care, healthy hair, dental care, treatment of constipation, respiratory disorders, cardiovascular diseases, cough, heart problems, anemia, and diabetes. Almonds are also found to be beneficial in weight loss and neurological problems. How to incorporate almonds in your diet? Almond is a nutritionally dense food. The health benefits are a result of its constituents. Some of its major components are listed below. Trace metals: Minerals like calcium, magnesium, manganese, phosphorus, iron and zinc. The high dietary fiber content, monounsaturated and polyunsaturated fats make almond a great food for weight loss and its management. Let’s have a look at how almonds help in promoting weight loss and management. 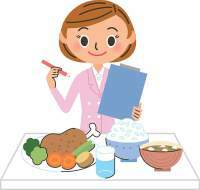 It is essential to have a diet regime low on calories to achieve a better control on weight. Traditionally, almonds were not considered as a low calorie food as they contain around 170 kcal/28-g serving. But a recent study published in the American Journal of Clinical Nutrition showed that the classic method to determine the calorific value of almonds is inaccurate with body registering only 129 kcal/28-g serving. Besides, almonds have been registered to be a healthy snack for obese people because of their low calorie content. What it means? Having a diet low in calories is the major strategy in curbing weight gain. Almonds are healthy snack that can satisfy hunger at low calorie intake. Body Mass Index is a measure of the body’s fat level based on height and weight of an individual. High BMI level is a prominent feature among overweight and obese people. Almonds contain around 11.6g of linoleic acid. Linoleic acid is an omega 6 fatty acid. In a research study carried out at University of Wisconsin-Madison, USA it was found that significant body fat reduction occurred following linoleic acid supplementation for six months. As a result, weight gain was prevented among overweight adults. A research article published in the International Journal of obesity conducted a study on 65 obese people. One group had to consume 1000calories/day along with 3 oz of almonds. Other group had to consume same 1000calories/day but supplemented with complex carbohydrates. After 24 weeks, astounding results were observed. There was a 62% reduction in weight/BMI, 50% decrease in waist circumference and 56% reduction in fat mass in group fed with diet supplemented with almonds. This clearly showed the benefits of almonds in weight loss. What it means? Linoleic acid found in almonds helps to reduce body fat and waist circumference. Scientific studies have proven that almonds have a significant effect in reducing the BMI. Almonds are an amazing source of proteins providing 20.2g of proteins per 95 grams. It was found that at a constant carbohydrate intake, an increase in the dietary protein produces a decrease in caloric intake. Proteins are low on calorific value than carbohydrates. An increase in their dietary content helps to enhance satiety at low intake of calories, thus promoting weight loss. A research study showed that consumption of higher protein intake led to better appetite control in overweight men but with same eating frequency. This is an excellent example of energy restriction induced weight loss. Linoleic acid present in almonds is found to improve appetite control and satiety, preventing over eating. This is highly beneficial in managing the body weight. Moreover, almonds are a great source of dietary fiber. Almonds consist of around 12g (in 95 gm serving) of dietary fiber in them. Dietary fiber withdraws water and holds on to it. This results in expanding of dietary fiber in stomach enhancing the satiety. As a result, slow absorption of food occurs preventing the intake of unnecessary calories. What it means? High protein and dietary fiber content in almonds help to enhance satiety, achieve better appetite control and avoid over eating. Almonds have low saturated fat content (only 4g per 95g). Majority fat content in almonds is of unsaturated fats and omega fatty acids that are highly beneficial to the body. Out of the total 47g fats present in almonds, around 29.3g is monounsaturated fat, 11.5g polyunsaturated fats and 17g omega fatty acids. A scientific study showed that long chain omega-3 fatty acid promotes improved appetite control and satiety. A study conducted in the Health and Research Studies Centre, Los Altos, California showed that the monounsaturated fats present in almonds help to increase the good fat content in the body preventing the rise of plasma concentration of cholesterol. What it means? Almonds supply good fats to the body, preventing the cholesterol rise in the blood and thus preventing the pile up of unnecessary fats in the body. It is better to consume raw almonds rather than almond butter or chopped, cooked almonds to avail the benefits of dietary fiber present in almonds. Almonds can be added to salads, vegetables, ice creams, yoghurt and rice. Almonds have a good amount of oxalates in them. Oxalates, when deposited in the kidneys can lead to the formation of kidney stones in the body. So, it is recommended to avoid consuming almonds if you have kidney problems. 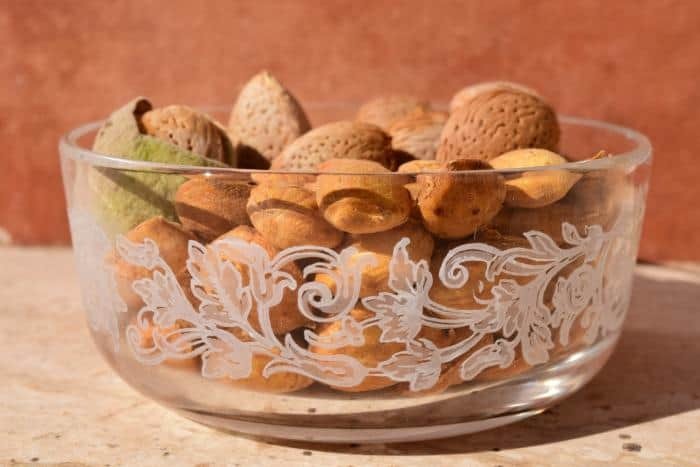 Almonds are one of the most widely used dry fruits. Besides having good taste, almonds have a number of health benefits. Almonds help to achieve better appetite control and satiety. Moreover, they promote reduction in fat, BMI and waist circumference. It is essential to consume almonds daily for a long period of time to witness significant weight loss effects . Why Sugar and Fatty Foods are so Appealing?